Vowing "I will not be bullied," President Donald Trump's nominee for attorney general asserted independence from the White House on Tuesday, saying he believed that Russia had tried to interfere in the 2016 presidential election, that the special counsel investigation shadowing Trump is not a witch hunt and that his predecessor was right to recuse himself from the probe. Sen. Dianne Feinstein of California, top Democrat on the Senate Judiciary Committee, told Barr the memo showed "a determined effort, I thought, to undermine Bob Mueller." The nominee told senators he was merely trying to advise Justice Department officials against "stretching the statute beyond what was intended" to conclude that the president had obstructed justice. President Donald Trump’s nominee for attorney general, William Barr, says special counsel Robert Mueller would be able to finish his investigation under his watch. He said that, at 68 and partially retired, he felt emboldened to "do the right thing and not really care about the consequences." If a president directs an attorney general to do something illegal, he said, an attorney general must resign. 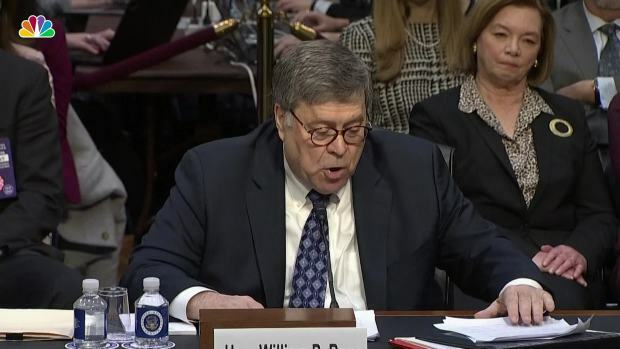 "I will not be bullied into doing anything that I think is wrong by anybody, whether it be editorial boards or Congress or the president," Barr told the hearing. Consumed by the partial government shutdown, Trump remained out of sight at the White House but also kept an eye on the news coverage of the hearing and told aides he was pleased with how Barr was handling himself, said two White House officials who spoke on condition of anonymity because they were not authorized to discuss internal conversations. On other topics, Barr echoed in part the president's hardline immigration stance and said the Justice Department would not go after marijuana companies in states where the drug is legal. He also would not rule out jailing reporters for doing their jobs, saying he could envision circumstances where a journalist could be held in contempt "as a last resort." 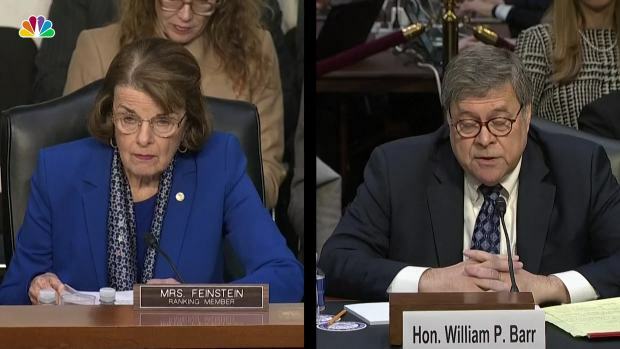 Feinstein said the nominee's past rhetoric in support of expansive presidential powers "raises a number of serious questions about your views on executive authority and whether the president is, in fact, above the law." 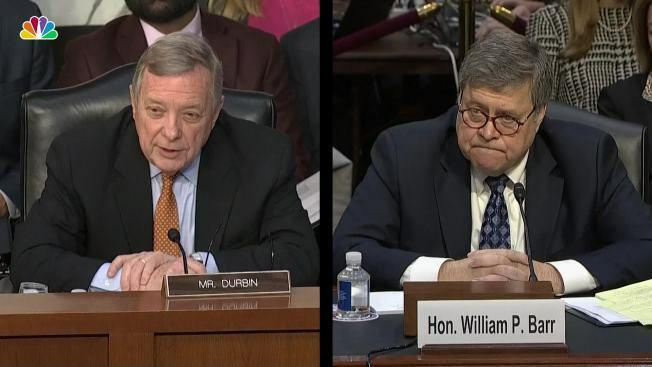 Under questioning, Barr voiced a more moderate view, saying a president who ordered an attorney general to halt an investigation would clearly be committing an "abuse of power" if not necessarily a crime. 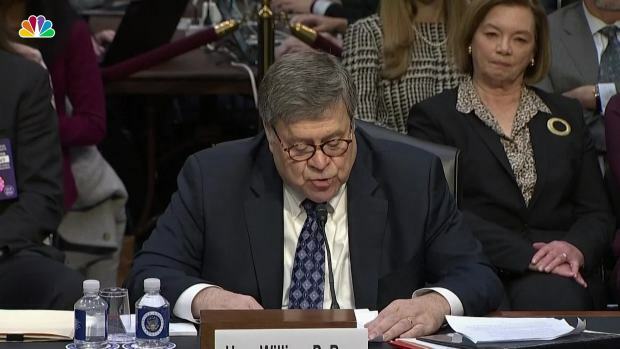 President Donald Trump’s nominee for attorney general, William Barr, says President Donald Trump sought no assurances when selecting him as nominee. The special counsel is required to report his findings confidentially to the Justice Department. 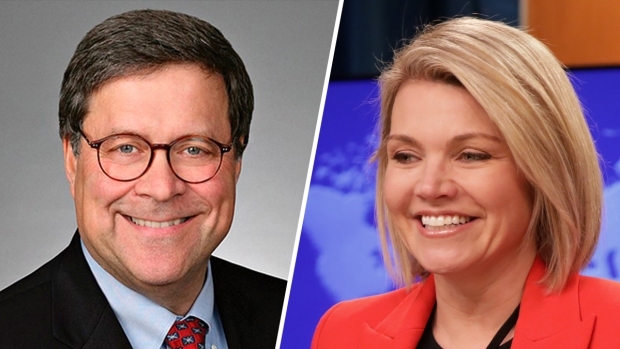 Barr said he expected to produce his own report to Congress and said it was his goal to release as much information as possible to the public, though he stopped short of a direct pledge. He also noted the Justice Department does not typically disclose information about people it investigates but does not prosecute. He also disclosed having discussed Mueller with Trump during a meeting in 2017 when Barr declined to join his legal team. He said he and his wife had been "sort of looking forward to a bit of respite and I didn't want to stick my head into that meat grinder." He also defended his decision to send an unsolicited memo to the Justice Department in which he criticized as "fatally misconceived" the theory of obstruction that Mueller appeared to be pursuing with regard to Trump, including the special counsel's investigation into president's firing of former FBI director James Comey. He said he raised his concerns at a lunch with the deputy attorney general, Rod Rosenstein, who appointed Mueller and has overseen his work. Rosenstein didn't respond and was "sphinx-like," Barr recalled. He followed up with the memo in June. Barr also sent the document to White House lawyers and discussed it with Trump's personal attorneys and a lawyer representing Trump's son-in-law, Jared Kushner, among others.